For heavy, demanding jobs, especially if you maintain an active work routine, you can’t just wear any pair of shoes. Instead, you need sturdy, durable work boots that can withstand the toughest of tasks. Keep in mind that when you are about to purchase a new pair of work boots, you must make sure to choose a model made with resistant and flexible materials, which provide adequate protection and comfort, to wear for long hours. It must also have sturdy soles to guarantee a proper and stable grip on all types of floors. The Timberland Pro Titan is a classic work boot and one of the best sellers of Timberland. It is made of full-grain high-quality leather and features a unique masculine look with its visible stitching, grainy texture, metal studs and eyelets, and the dark mocha color. Also, it is equipped with the speed lacing system and lace up vamp for an exceptional fit. 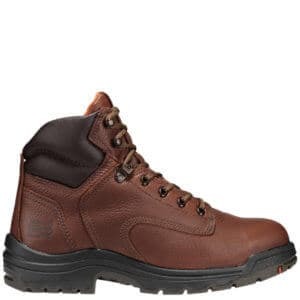 The premium leather upper and padded tongue and collar make this work boot very comfortable for any work environment. 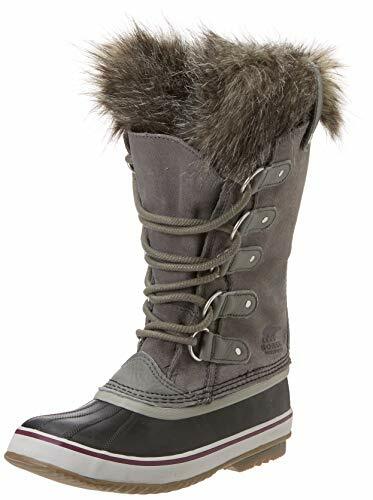 In addition to all the excellent safety features, it also has a short break-in period which makes it ready to use immediately and a comfortable lining with antimicrobial treatment to keep the feet dry and odor-free. Equipped with an antimicrobial treatment to keep it fresh and odor-free. 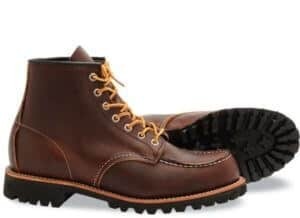 Red Wing’s Irish Setter is one of the leading boot brands for worker and hunters in generations looking for the best quality and performance possible. 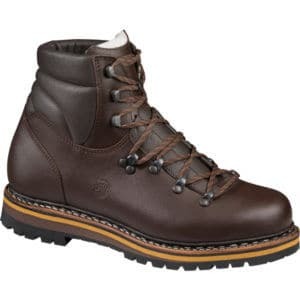 These boots are 100% leather and are equipped with dual-density sole and direct attach non-welt construction. It has a very stylish design with antique brass studs and D-rings and triple stitching in golden color. 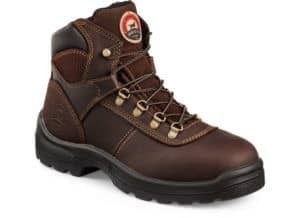 This 6-inch lace-up steel toe work boot is designed to protect you against falling objects and any potential electrical danger (it meets the ASTM electrical hazard standards for safety). The outsole has PU V-grip for a great protection against oil, chemicals, and abrasion. The non-metallic shank and molded heel provide more protection against impacts and shocks. 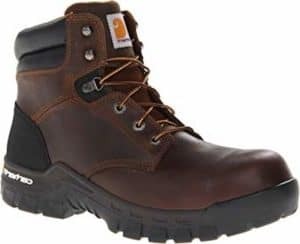 Carhartt men’s CMF6366 composite toe work boots will keep your feet very relaxed and comfortable throughout all day thanks to the five layers of cushioning. 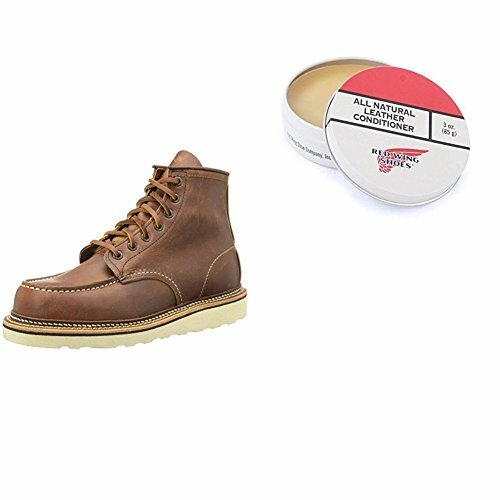 The full-grain oil-tanned leather can endure harsh conditions and work environments, while tongues and padded collars prevent rubbing and pinching. Also, they are equipped with protective rubber heels and composite safety toes for better protection and safety. When it comes to the footbeds, these work boots are highly efficient against fatigue and provide excellent comfort throughout the day with the OrthoLite insoles as well as polyurethane bases. Besides, they have full-length EVA pads, which are very light and resistant against shocks. The abrasion- resistant Rugged Flex rubber outsoles have ladder-lock channels and gripping lugs to clutch any surface and help with ease of movement. 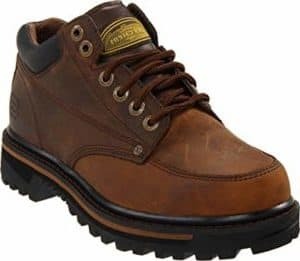 The Skechers USA men’s mariner utility work boots are made of smooth, full-grain leather, and have a fashionable design between casual shoes and work boots. These boots have overlay and stitching accents which offer a cooler look and design. They are equipped with oil-resistant rubber outsole alongside the steel toe. The memory foam insole, as well as the padded tongue and collar, offer a cushioned comfort for your feet. Besides, if you have flat feet, you can remove the soles and put gel orthotic inserts for a better fit and more comfort. The midsole provides comfort and safety against shocks with its thick structure. The outsole is made of rubber, and it is very efficient in absorbing shocks and offers excellent grip on the ground. 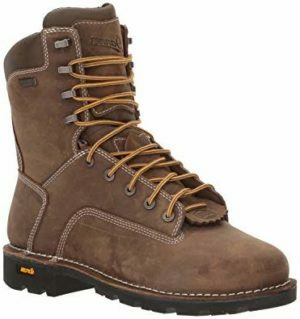 If you are looking for durable work boots, yet much less expensive than any other work boots, then ARCTIV8 Titan-S pro is the right choice for you. 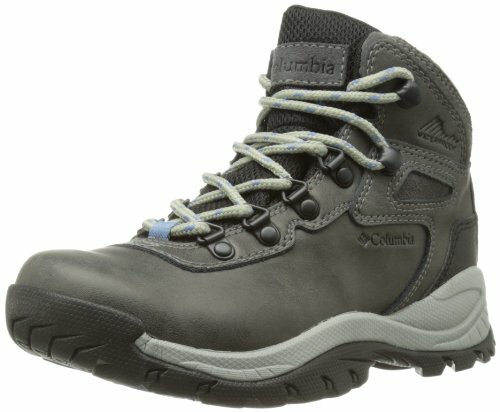 You can even pay less than $50 for long-lasting work boots with exceptional safety features! They are made of premium full-grain nubuck leathers that can help resistant well against any possible hazard. The upper is made of high-quality leather which offers a more aesthetic look. In addition, the Goodyear welt technology rubber outsoles are very durable and slip-resistant. These work boots are design-wise, and they come with three color options – wheat, brown, black. So, you can pick the right color and style that match your work outfit. 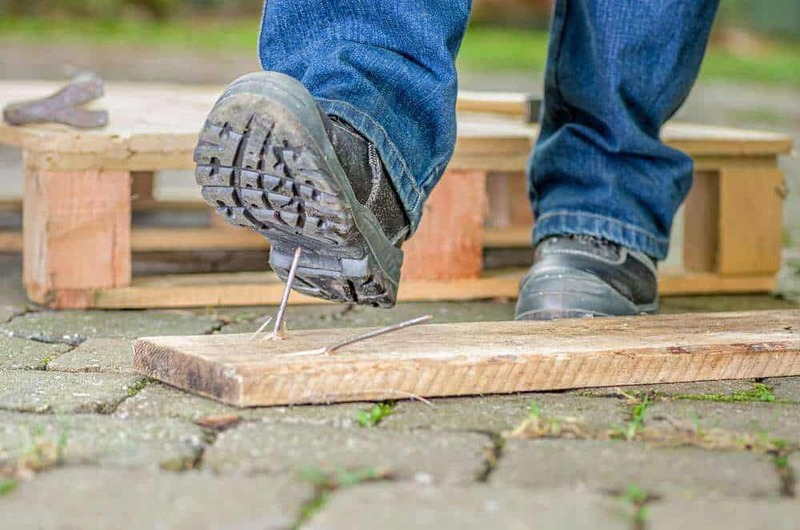 Moreover, the steel toes are robust and resistant against falling objects to keep your toes well protected and safe. Based on the classic Danner Quarry work boots, the Gritstone is lighter and guarantees a more comfortable fit with its integrated Bi-Fit shank system. 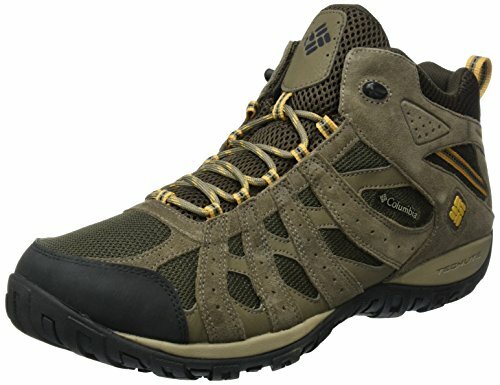 Besides, the waterproof upper is made of full-grain leather with triple-stitch for better insolation. Your feet will remain dry and comfortable throughout the day thanks to the moisture-wicking and breathable Danner Dry waterproof layer. The Gritstone work boots are equipped with an alloy toe which meets the ASTM standards for electrical danger protection and the OSHA standards for resistance against slip. In fact, you will feel more protected with the Vibram Gritstone outsole with serious grip and better resistance to slipping, chemicals, and oil. These work boots guarantee a long-lasting feet protection with the stitchdown construction which can be resoled and recrafted when it gives out. 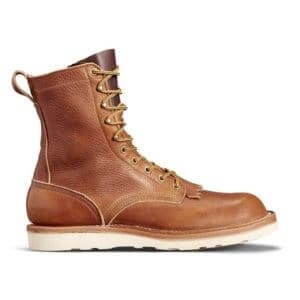 The Red Wing Roughneck work boots, which are famous for their clean lines, simple construction and classical round toe style, are made of Copper Rough & Tough leather. With oil-tanned leather and double-layer over the toe for extra protection, these work boots look vintage, yet very classy. They feature a long-lasting Vibram lug sole, Goodyear welt construction, and triple-stitch quality. The smooth-finish leather resists to dirt, water, and oil. The EVA midsole, as well as the Vibram lug outsole, offer more comfort and protection for your feet with a better grip on slippery surfaces. The Filson brand uses Old World construction techniques and premium, full-grain leather to create work boots that can withstand hard conditions for very long periods. The Filson Traveler work boot is made with American leather that is very light and requires less break-in. It is manufactured with a traditional heel and arch and cushioned Christy Vibram sole. 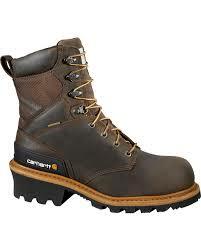 It is an excellent boot for warehouse work, steel work, standing on concrete, and casual wear. So, it is the perfect fit for those seeking for reliable and very comfortable work boots for any work environment. It can even be fully rebuildable and fixable. The Carhartt safety toe logger boots are an excellent fit for rugged jobs that require sure-footed grip and all-conditions versatility. The ankle and heel reinforcement, as well as the steel shank and Carstrong durable fabric, offer extra safety and protection for the line of duty without tearing off. Also, it is equipped with an aggressive ladder lock tread holds firm in uneven surfaces and on slippery ladders. It has a stylish design with oil-tanned vintage saddle leather. With the breathable waterproof membrane made of the Storm Defender technology, you will keep your feet very comfortable and dry throughout the day. 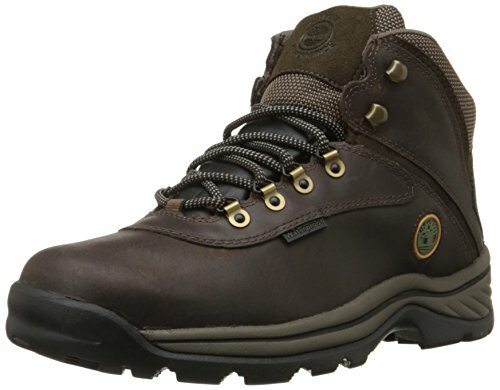 These work boots have composite toe caps that meet the ASTM standards for safety and electrical hazards. Besides, the insole is made of polyurethane and cushioned to absorb shocks your feet well-protected. They are equipped with TPU heel guard, and Achilles flex joints protect against side impacts and keep the ankles stable. 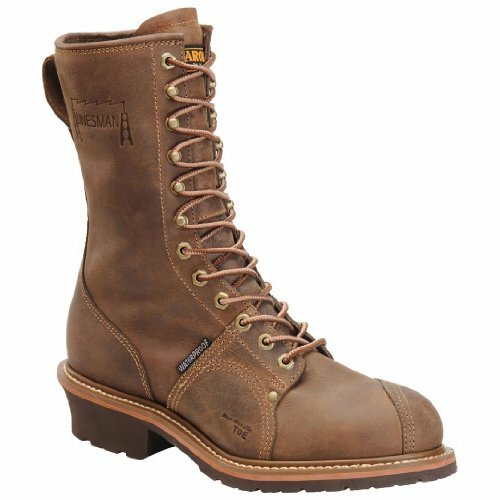 The Hanwag Grunten boots have a genuine double-stitched construction which is high-quality, sustainable, durable, and fully resoleable. The leather lining offers better wear climate, enhanced comfort, and superior managed of moisture. Also, the tongue is equipped with a tensioning lace hook. For rapid and precise lacing, the top section of the uppers has clamping lace hooks. 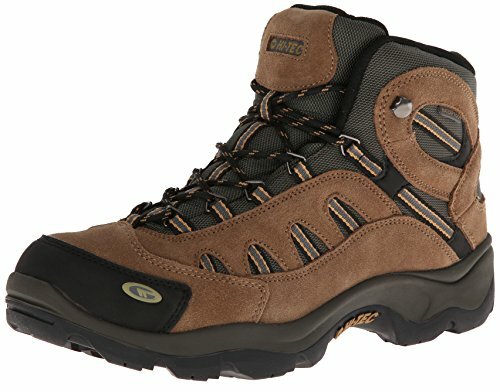 These work boots provide excellent protection and flexibility with flex zone and additional shock absorber in the heel. The sturdy EVA rubber outsole and Vibram sole guarantee a great grip and stability on different surfaces. What Are the Different Types of Safety Toes in Work Boots? The aluminum toes are designed to reduce weight without excessive loss of protection (they are 30-50 percent lighter than steel toes). They are made of a mixture of titanium and aluminum, which provides high security in favor of a lighter weight. It’s a balance between strength and lightweight: if you need the best possible protection, work boots with steel toes are a better choice, but if lightweight is important to you, you can get good protection with aluminum toes. However, aluminum toes aren’t suitable for extreme weather conditions since they are very sensitive to temperature. A heavy-duty steel toe box in a work boot protects you against crushing and dropping objects. Steel is the most resistant of all materials used to create protective tips and ensures the best possible protection against impacts. However, the caps of these toes are made of metal, which in return don’t offer excellent thermal insulation. Also, they can be uncomfortable with a smaller toe box and can be easily detected with metal detectors. 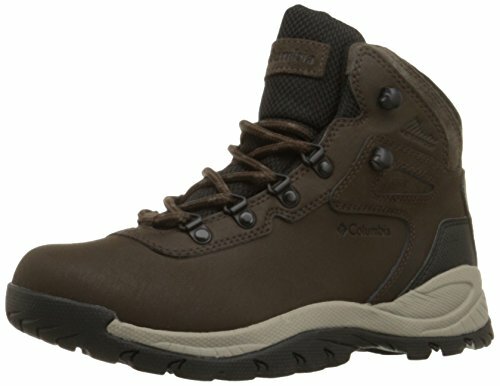 If you are looking for work boots with a non-metallic (and therefore non-magnetic and non-thermal) toe cap, it is recommended to wear work boots with composite toes. They are made of Kevlar, plastic, or carbon fiber, which are the lightest materials available on the market. They provide great protection against impact and bumps. Also, work boots with composite toes are very resistant to extreme weather conditions. Why Should You Get Comfortable Work Boots? You need a great pair of comfy work boots to ensure the right posture of your body and proper support for your feet, which in return will affect positively on your job and make it more enjoyable. You need a correct positioning of your feet to keep your body well-balanced. Even more, losing balance during the job can result in severe problems to your body. That is why you need to choose the work boots that fit well in your feet to ensure perfect balance to your feet and maximum protection for your body. 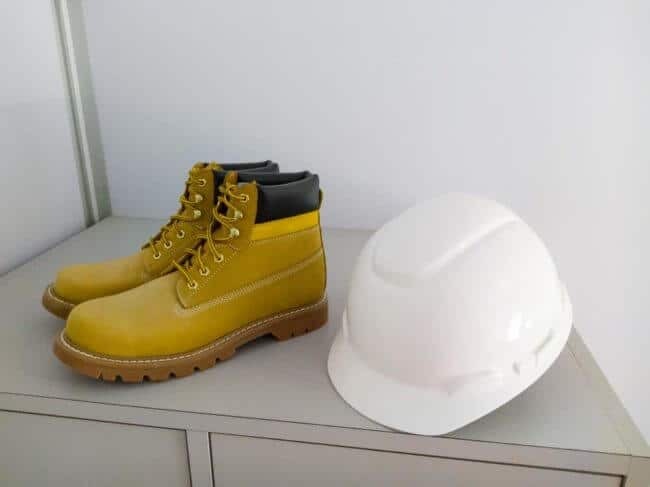 Wearing the right work boots will not only keep your feet well-relaxed and happy all day but also you keep your whole body healthy and comfortable for better performance for your job. You will feel more enthusiastic about doing the hard jobs knowing that your feet are well protected against any hazard. You will undoubtedly have a full-load of productivity! Premium quality work boots disperse the shock forces evenly and minimalize the impact on feet, hips, knees, and lower back. You will eventually lower the injury risk to your lower body. During a hard work day, your feet support your whole body for an extended period, especially for very active workers. Wearing unsupportive work boots can affect your performance and cause tiredness and unnecessary stress. That is why you need very comfortable and high-quality work boots to withstand all the effort and tension throughout the day. 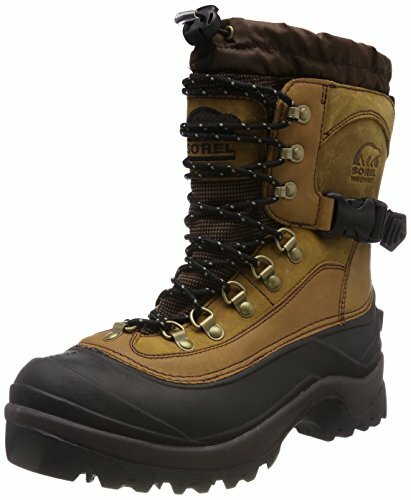 What Are the Features of Premium Quality Work Boots? The toes and feet are extremely sensitive and a heavy day’s work can affect them very severely without taking proper measures. Discomfort and pain in your feet are the last things you want at work. Therefore, wearing extremely comfortable work boots that offer a feeling of softness all day is worth it. 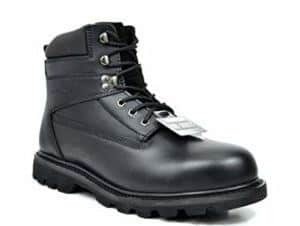 Additionally, the size of the work boots, the lining inside, the type of upper materials, the outsole, and the insole are all factors that directly affect the comfort of work boots. 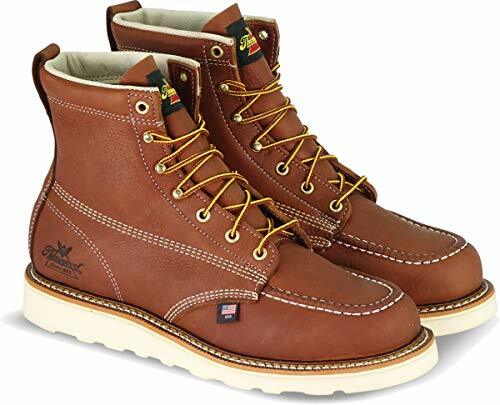 Work boots are made of various materials, of which leather is the most common one. If there is too much walking or movement all day long, the right boot weight plays an important role in your job environment. Some of the materials are heavier than others, such as carbon fiber and steel; make sure to choose the right material for your work boots depending on your work condition. Besides, the outsole is composed of synthetic rubber, which is lighter and pliable to ensure better flexibility and more protection. Excessive cushioning insoles are suitable for workers who don’t require a lot of movement or work where constant vibrations are very common. On the other hand, you shouldn’t opt for highly cushioned work boots if you are very active and in continuous motion during your job. Moreover, EVA midsoles are very helpful against impacts and help with relieving the stress. Durable work boots will ensure the best protection for your feet to survive any unpredicted hazards. High -quality work boots must be waterproof to cope with the worst working situations. Mud, debris, wet gravel or high humidity can ruin your day’s job and your work boots’ lives too. Besides, before buying your next work boot, you need to consider the quality of the insole, tread thickness, the upper material, toe construction, and overall build to ensure its durability. Keep in mind that the name of the brand isn’t always the right indication of the work boots’ toughness and long durability. A work environment can be full of hazards, such as uneven oily surfaces, electrical dangers, heavy objects, sharp protrusions, and extreme temperature changes. If safety measures are not taken properly, such areas can be life-threatening and fatal. That is why it is essential to choose the correct work boots. You can significantly increase your productivity on-site because you feel much more comfortable and well-protected. 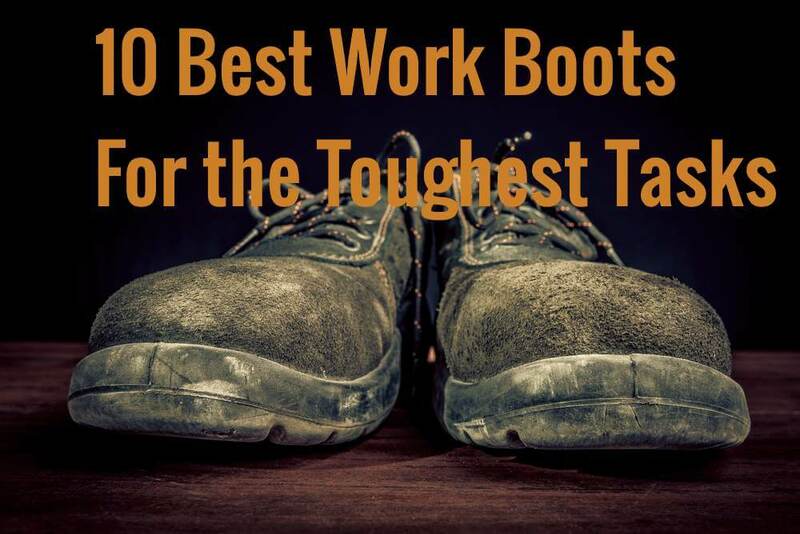 All you need to do is check the list of the 10 best work boots and choose the ones that suit your needs!